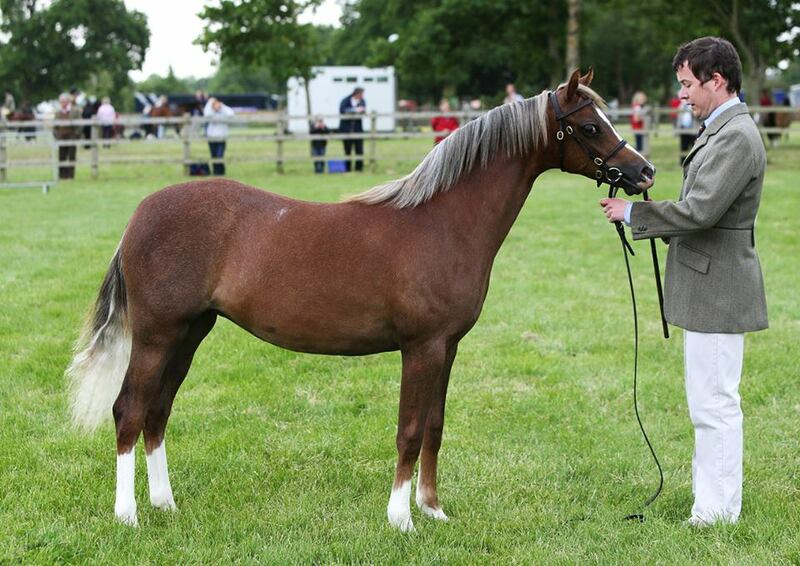 Rhoson Kizzie, 2nd at the Royal Welsh Show as a yearling and 2yo filly, Champion Three Counties 2015, Silver Medal winner at Northleach 2016, Section B champion at the French National Welsh Show 2016, Supreme champion of the French WPCS Spring Show 2016, Reserve Supreme of the Regional Welsh Show of Forges les Eaux (Normandy 2016). 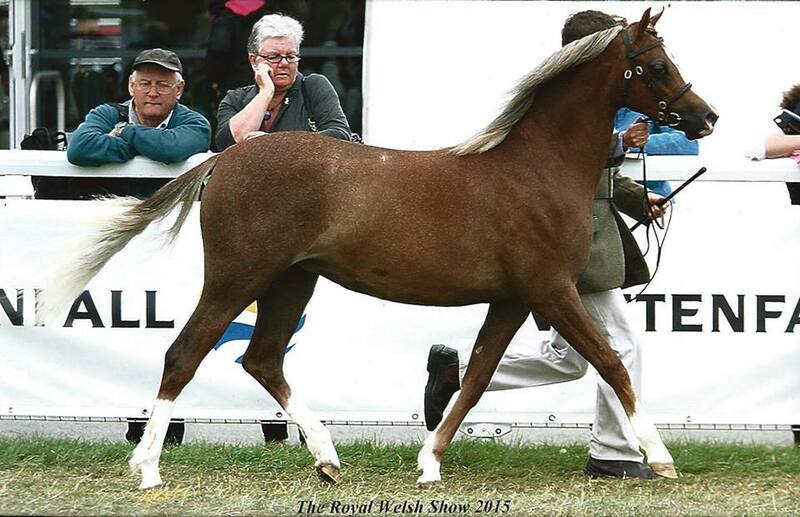 Lightly shown in the UK as a yearling (2015) incl. 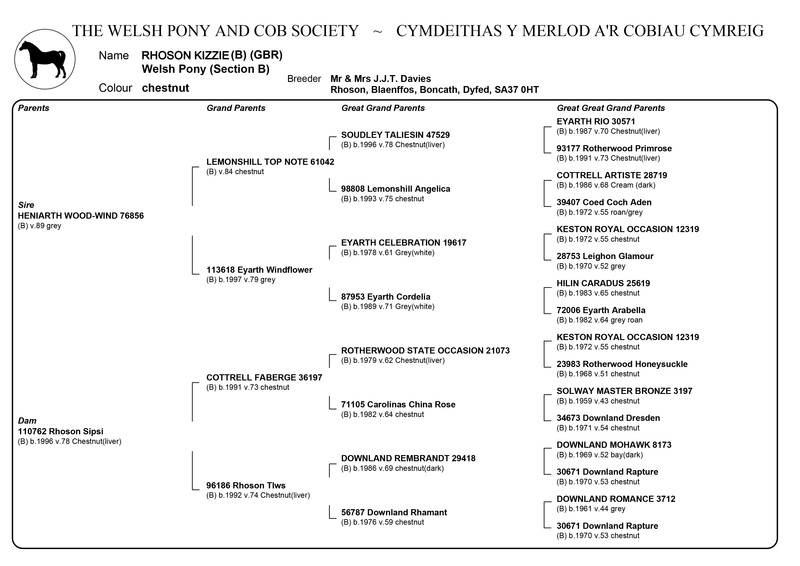 Champion Three Counties and 2nd Royal Welsh.